Doctor Octopus is putting the band back together! 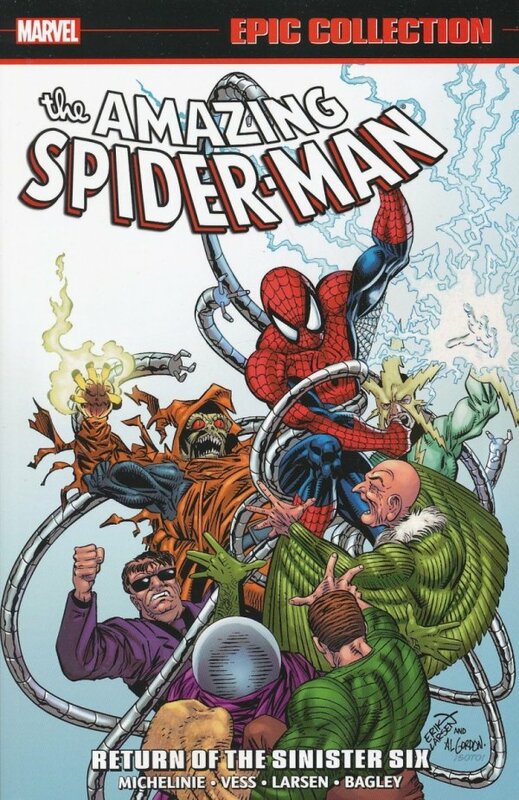 But who will join master planner Otto Octavius in the most Sinister Six of all? Spidey is about to find out, but defeating this sextet of his most ruthless foes will test him like never before - and in the aftermath, Peter’s tremendous sense of responsibility will lead him to give up his powers! Is this Spider-Man no more? Normal life isn’t so great when the Scorpion attacks, and the Black Cat must leap to the rescue. Fingers crossed that the web-slinger will be back in action by the time Venom returns, the Avengers assemble and Doctor Doom arrives in town! Plus: Peter and Mary Jane’s romantic getaway in Scotland turns into a haunted second honeymoon! Collecting AMAZING SPIDER-MAN (1963) #334-350 and SPIDER-MAN: SPIRITS OF THE EARTH.